Also known as the house of the people, Palace of Parliament is an amazing place to visit. This well-organized attraction is a historical and architectural marvel. A very large building, Palace of Parliament was the seat of power during the Romanian dictatorship. One of the most impressive buildings in the entire city, this is a must-see location. The best way to see this awesome building is via a paid tour. During the tour, you will learn about the building’s history. 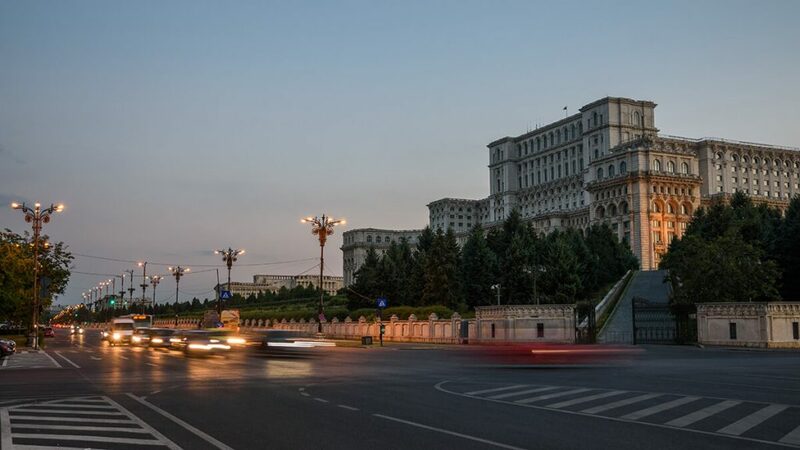 This landmark is most certainly at the very top in any top of Bucharest attractions. 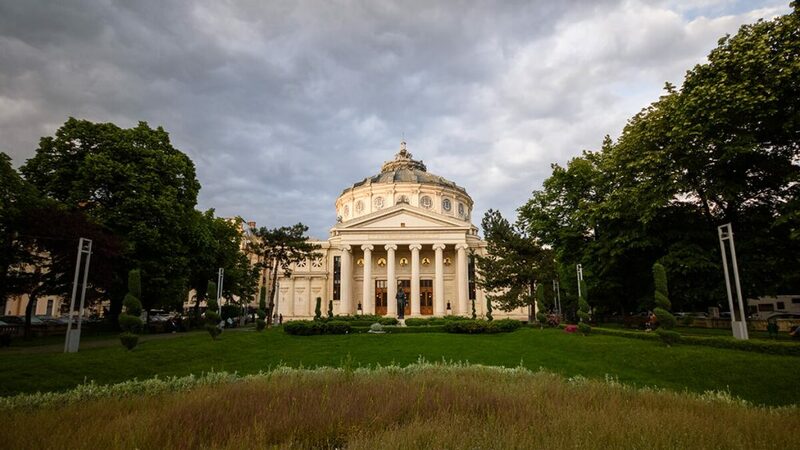 Another very beautiful Bucharest sightseeing location is the Romanian Athenaeum. A huge concert venue, this neoclassical building has a romantic flare. This historic attraction was restored in 1992 which cost 9 million euros and saved the building from collapse. Now the building is in wonderful condition and is host to many different events. Take a tour of the building and walk around the beautiful grounds that surround it. This gorgeous historical building is Romania’s version of the White House. Originally constructed in 1893, this building not only houses the country’s president but also the Cotroceni National Museum. Guests can tour this stately palace and museum during daylight hours. A church is also located on the site and can be visited with no prior arrangements. A classic tour of the palace normally takes 60 minutes to complete. During the tour, you will get to see the public areas of the palace and walk the beautiful grounds outside. This destination is a must-see location and should be on anyone’s Bucharest travel bucket list. Another top attraction, although less know for most visitors of Bucharest is The National Museum. If you are an art lover, this is the perfect place for you. One of the finest Bucharest attractions where you can find stunning artwork from all over Europe. There are currently two exhibits located here which brings people in from around the globe. Located in the former Royal Palace in Bucharest, it includes the National Gallery (Romanian medieval and modern art) and the European Art Gallery. Apart from numerous temporary exhibitions, visitors can also join guided tours of the former Throne Hall and other spaces of historical relevance. Take a walk in the past when you visit this amazing museum. It is actually an open air authentic Romanian village set in the middle of Bucharest with a few hundred traditional houses and farms, showcasing life throughout different regions in Romania from the 17th century, all the way up to the 20th century. Learn the rich history of Romania and see how people lived hundreds of years ago. Walking around in the Village Museum is a fun way to spend the afternoon and we considered it high in our top 15 Bucharest attractions. This breathtaking park is the perfect place to get away from it all. With a large lake and many running paths, this part of the city is a nature lover’s paradise. 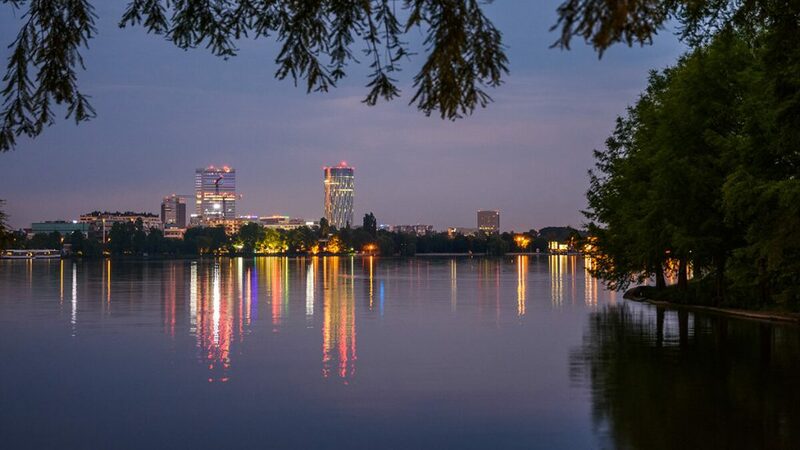 Located in the northern part of the city, Herastrau Park is a great summertime retreat from the everyday hustle and bustle. 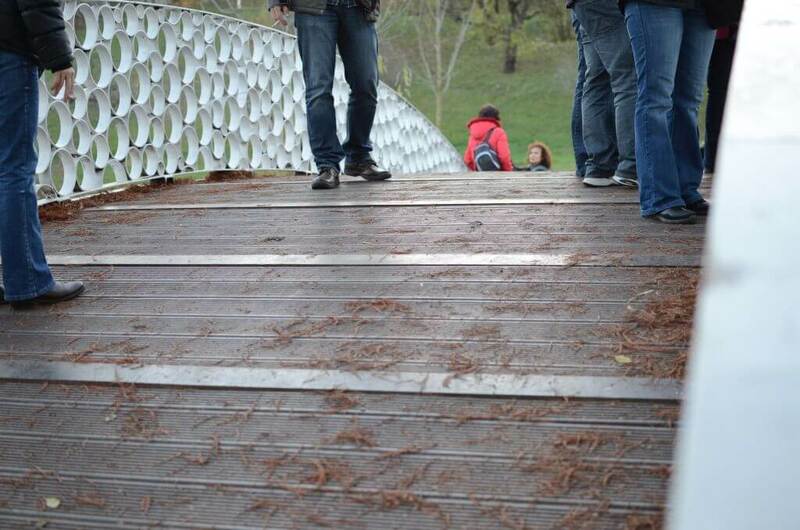 One of the most stunning natural areas in the city Bucharest, Botanical Garden is a great place to spend the day. Great for solo travelers and families alike, this park like setting is a wonderful area take photos. Located in the Cotroceni neighborhood which is one of the most beautiful areas of the city, this park is home to 10,000 species of plants. Founded in 1860, the garden has grown over the years and is one of the most popular attractions in the area. This exquisite church was built in 1724 and has a rich history. The building is among the oldest undemolished buildings in the entire city of Bucharest. It’s wooden and stone carvings make quite an impression, which also holds true for its centuries-old tombstone collection. The monastery has a vast library and contains some 8000 books of theology, music, and other texts. Taking a tour of this amazing historical location is a great way to learn more about the religious background of the area. 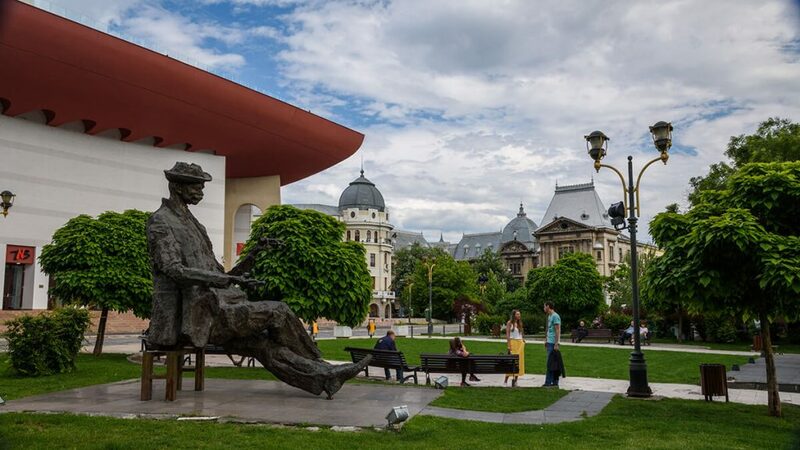 A great place to snap some photos, Unirii Square is one of the city’s best focal points. 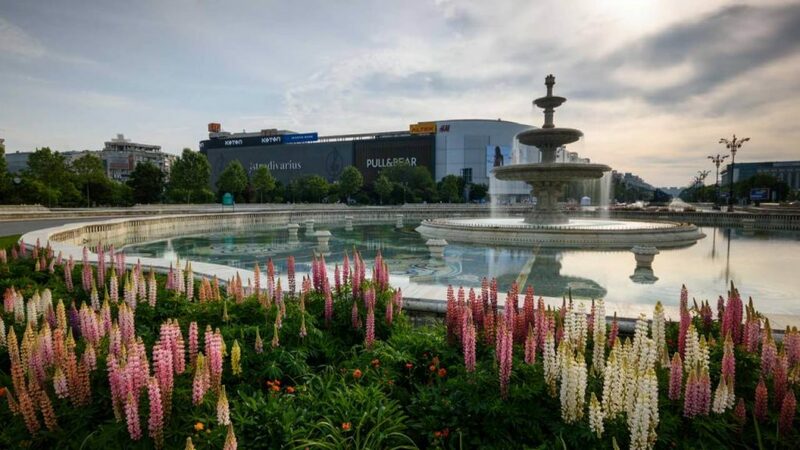 With a beautiful large fountain, this square is very romantic and captures the essence of the city’s landscape. No wonder we believed it must be included in top 10 Bucharest attractions. The Unirea Shopping Center, the Cocor department store and a large taxi rank are located on the east side of this square, while Hanul lui Manuc is on the north side, near the northeast corner. The center of the square boasts a small park (and fountains) and this is a particularly popular starting spot for most guided tours. Bucharest sightseeing would not be complete without a visit to University’s Square. The square is located in downtown Bucharest and is dedicated to the peaceful protest conducted by students against the former communist state. One of the most beautiful places to visit during Christmas, the square comes alive with music and lights! The Intercontinental Hotel is located nearby. It is also one of the tallest buildings in all of the city. If you are a book buff, you will also be happy to find many different booksellers close by. This area of the city is a perfect place to take photos, with wonderful buildings at every corner. Because 10 is not enough, we decided to add 5 more Bucharest attractions to our list. 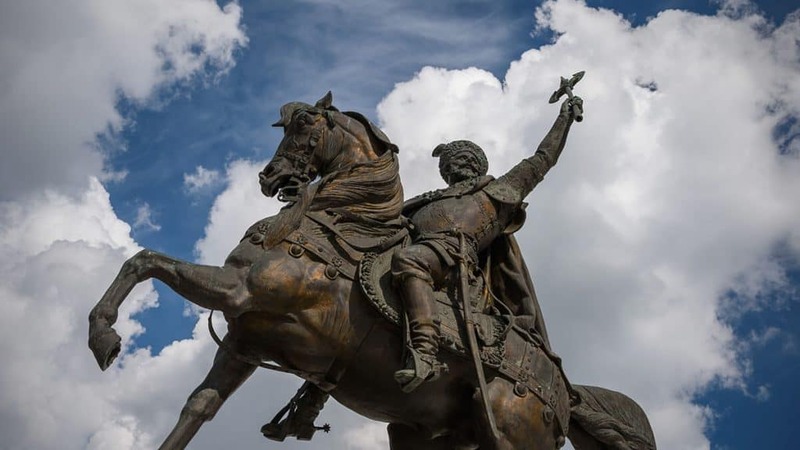 So, at 11, if you’re looking for more things to do in Bucharest, why not learn about the city’s recent history and the country’s history, for that matter? A guided tour of the Revolution’s Square is a great way to learn about the 1989 revolution that sprang up against communist rule. Inside the square, you will find a memorial dedicated to those who lost their lives during this bloody time in Romanian history. Located in the middle of town, this lively location is itself home to many Bucharest attractions. A great place to eat, drink, and be merry, this part of the city is filled with pubs and restaurants for you to enjoy. The Old Town is also known as Lipscani. The area has several pedestrian streets that come alive when the sun goes down. 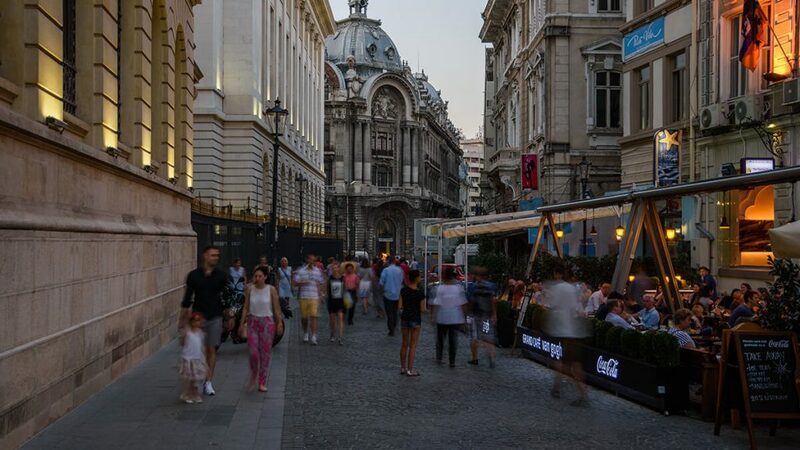 A great place to experience some of the best nightlife in Romania, Old Bucharest town won’t let you down! Located in the Northern part of the city, the Arch of Triumph is dedicated to the heroes of the War of Independence and World War I. This beautiful structure is one of the most iconic buildings in the city. Great for taking pictures, the Arch of Triumph is also amongst the must-see Bucharest attractions. If visiting the site in December, you will be treated to a military parade which is held on the 1st day of the month. Do you love beer and live music? If so, Beraria H will be one of your favorite Bucharest attractions. This beer hall is the largest in all of Europe! Each month a wide-range of different live talent take to the stage. Some of the world’s top acts have performed here. This event location has something for every member of the family, and some of the best beer in the world! Finally, a great place to grab a bite to eat, this beer hall has some of the most amazing culinary dishes in the city. Furthermore, if you are looking for amazing food and great entertainment, why not make a stop at the Hard Rock Cafe Bucharest? One of the largest Hard Rock Cafés in all of Europe, this lively location is a great place to have some serious fun! This was our own Top Bucharest attractions, plus 5 extra places we love in the capital city of Romania. Hope you enjoyed it and found dome inspiration for your trip! If you wanna find out more things to do in Bucharest here are some options for the Spring and here are some for the winter!